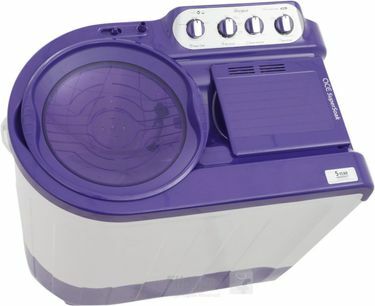 Whirlpool is a home appliance manufacturer known for their range of washing machines. 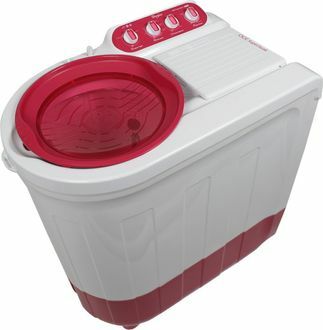 Semi-Automatic washing machines are the next best thing to fully-automatic machines if your washing or laundry needs are limited. 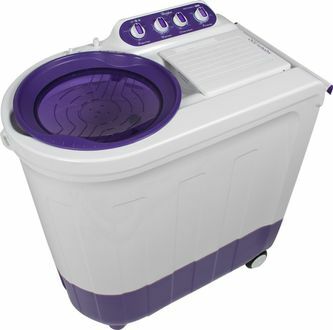 A Whirlpool semi-automatic washing machine washes clothes and spins them separately in two separate drums. 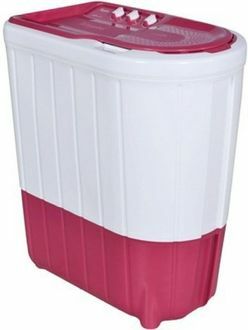 All that users have to do is, once the washing cycle is complete, transfer the clothes to the rinsing portion of the washing machine. 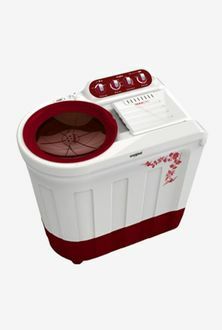 The 23 Whirlpool semi-automatic washing machines shown in the price list are nevertheless, efficient machines that wash and clean clothes thoroughly in a short period. The prices mentioned in the list are last updated on 25th April 2019. These machines also feature specific wash and care settings for different kinds of fabrics and clothing items such as delicate clothes, woollen clothes, and everyday clothes like jeans, t-shirts, salwars, shirts, etc. Many of Whirlpool semi-automatic washing machines have water saving features that consume less water than other machines. Another advantage of these machines is that they are cost-effective and are available in a range of capacities including 6 Kg, 7 Kg, 8 Kg and above. 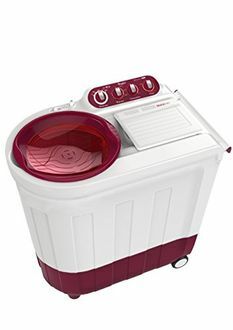 Get ready to buy the latest Whirlpool washing machine model from the comforts of your home. All you need is to pick the right model by understanding the specifications, knowing the user reviews. The images displayed on the page can give a rough idea of the product. 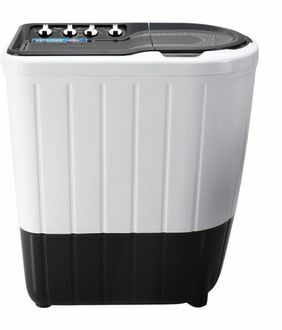 To purchase the Whirlpool semi-automatic washing machine at the lowest price, you can compare the price of the appliance that is available at the various online stores like Flipkart, Paytmmall, Amazon, etc. Check for the 5-year warranty available with the model to claim against any defects that may occur during the usage.